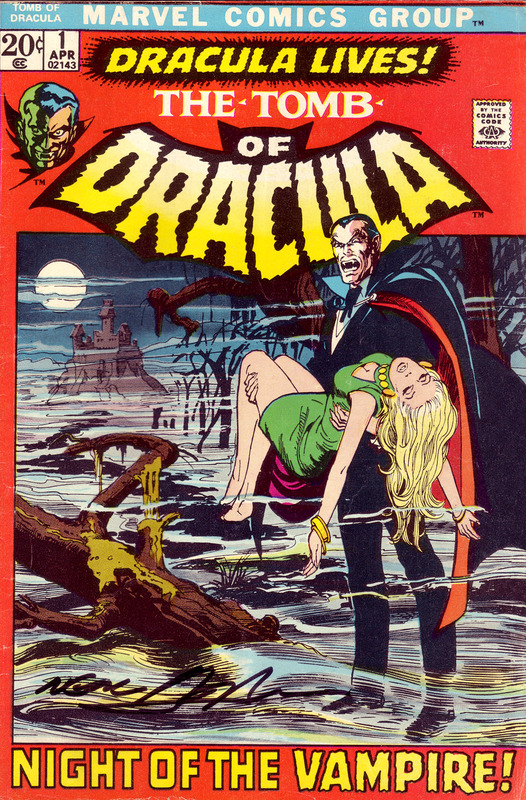 I finally procured all 70 issues of Marvel’s seminal horror series Tomb of Dracula (1972). So expect many more Sunday Scans from this title in the coming weeks as I read through the series in consecutive order. This is the cover to issue #1 (1972) with art by the legendary master Neal Adams. I had this one autographed by the man himself at Fandom Fest 2013.